Seesaw was founded by Varnya Bromilow and Nina Levy in August 2017, and is edited by Rosalind Appleby and Nina Levy. 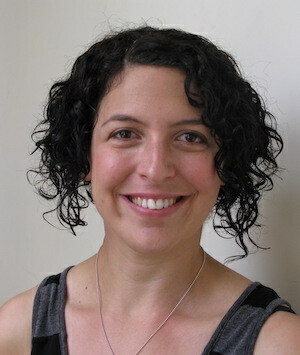 Nina Levy is an arts writer and critic. She co-founded Seesaw with Varnya Bromilow in August 2017. Currently Nina is co-editor of Dance Australia magazine and dance critic for The West Australian newspaper. Over the last ten years, Nina has worked as an editor/writer for Ausdance WA’s Dancewest magazine, Dance Australia, The West Australian and West Australian Ballet. Nina’s love for the arts, in particular dance, has also seen her work extensively in arts education and advocacy, at Ausdance WA, the Western Australian Academy of Performing Arts, Applecross Senior High School, Classical Dance Studio, the West Australian Museum, the Art Gallery of Western Australia and the Perth Institute of Contemporary Arts. Nina loves the swings because they take her closer to the sky. Rosalind Appleby is an arts journalist, author and speaker. 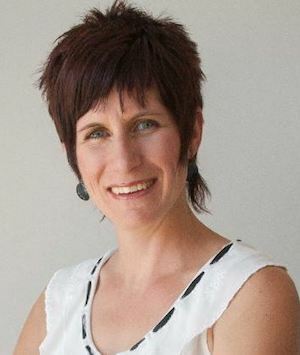 In 2012 she founded the website Noted to cover the Perth arts scene. She writes for Australian and international publications including The Australian, Limelight, Australian Book Review, Dance International and Opera magazine (London). Rosalind is the author of Women of Note (Fremantle Press, 2012) and advocates for the arts through her lectures, author talks, artist interviews, pre-concert talks and school seminars. For several years she produced and broadcast the experimental program Difficult Listening for RTRFM and she has been interviewed for Radio National’s The Music Show, 3MBS, 2MBS, Radio Fremantle and RTRFM. Her favourite pieces of playground equipment are the percussion instruments which can be found in the uber cool parks. Varnya Bromilow is a writer and journalist who has worked with the Australian Broadcasting Corporation, the Canadian Broadcasting Corporation, Xpress, RTR-FM and The West Australian newspaper for over 15 years. She has also worked with STRUT dance, Performing Lines WA and Ausdance WA, and is passionate about arts practice in WA. In recent years Varnya has completed an oral history of WA dance for Ausdance WA and edited Dancewest magazine. Xan Ashbury is a teacher who spent a decade writing for newspapers and magazines in Australia and the UK. She won the Shorelines Writing for Performance Prize in 2014-17. Her favourite piece of playground equipment is the flying fox. Laura Biemmi is a writer and oboist from Perth. She has written as part of the AYO Words About Music program, for Limelight magazine, and is the current Trends Editor at CutCommon magazine. She is also an active orchestral player and has played in a number of Perth ensembles. Laura is currently completing Honours in musicology at the University of Western Australia. Her favourite piece of playground equipment is the flying fox. Sandra Bowdler is an archaeologist who has a passion for music and has been writing about it for some twenty years, most recently for Opera magazine (UK), Bachtrack and Handel News. She is also the author of “Handel’s Operas in Australia, a performance history” Händel Jarhbuch (2017). Her favourite piece of playground equipment would be the picnic bench with smoked salmon sandwiches and champagne. Eduardo Cossio is a musician active in the Perth experimental music scene. He is a presenter on Difficult Listening at RTRFM; his music reviews appear on Realtime Arts and Cool Perth Nights; and he runs Outcome Unknown, a concert series of exploratory music. At the playground he would try and get some percussive sounds happening. Tiffany Ha is a musician, composer, and teacher from Perth, WA. She graduated from UWA in 2011 with degrees in Music and English Literature. Like Seesaw editor/founder Nina Levy, she is a long-time member of Menagerie Indie Pop Choir. At the playground, she can’t go past the classic playground swing. Jan Hallam has been watching theatre for a living for the past 30 years. Working for both The West Australian and The Sunday Times, she has been lucky to have experienced just how diverse and talented the Perth arts scene is. When she’s not sitting in the dark, she’s staring at the light of a computer screen as editor and journalist. She’s the queen of the sandpit castle. Belinda Hermawan is a graduate of UWA Law School (2009) and a fiction writer whose short fiction has been published in Australia and the United States. She is a former Studios Manager at Paper Mountain, and is a summer school alum of Parsons, The New School of Design in New York. Favourite piece of playground equipment: Playground car on springs! Robert Housley returns to arts journalism following a 20-year hiatus managing performing arts venues. He was the last arts editor of Perth’s long defunct “other” daily paper, the Daily News. He has also worked as a journalist in London, Cape Town and Amsterdam, principally as a performing arts writer. Robert’s favourite item of playground equipment is the swing and its enduring challenge: how high can you go? Miranda Johnson is an arts worker from Perth. She spent the past few years in London working as a record store clerk whilst studying an MA in Contemporary Art Theory at Goldsmiths College. Upon returning to Perth, she has been working for some of Perth’s major contemporary arts institutions, as well as co-directing Moana Project Space, an artist-run initiative. She also sings in indie-pop choir Menagerie and co-hosts Fem Book Club at the Centre for Stories. Miranda loves feeling as close to the sky as possible on the swings. Leon Levy’s career was spent in the commercial world, but alongside this has been a longstanding interest in the arts generally and choral performance in particular —as a singer— both in the UK and in Perth. Now in retirement he has turned to occasional reviewing, enjoying especially the opportunity to cover performances by talented young musicians in recitals that might not otherwise come to wider attention. Leon remains attracted to playground slides —the longer the better— to which the pretence of accompanying his grandchildren gives him legitimate access. Dr Jonathan W. Marshall is the postgraduate coordinator and a lecturer at the Western Australian Academy of Performing Arts, Edith Cowan University. Jonathan has been an arts critic since 1992, writing for RealTime Australia, The Big Issue, The Age, Theatreview NZ, Melbourne street press, as well as appearing on radio. His interests range across theatre, dance, photomedia, performance art and post-classical musics. Jonathan grew up close to the Yarra River, where one can still find a long metal slide set into the side of a slope amongst which nestle small caves, and to which he returns often. Jenny Scott is a current co-director of Paper Mountain and co-host of Fem Book Club at the Centre for Stories, with a Bachelor of Fine Arts (First Class Honours) from UWA. She has fond memories of the dangerous thrill of the playground roundabout. Claire Trolio completed a Bachelor of Arts (Hons) and a Bachelor of Laws (Hons) at UWA. She writes about Western Australia for various digital and print media, and owns a shop with her sister. For her, the swing is the ultimate in playground fun. 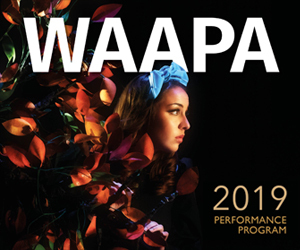 Amy Wiseman is a WAAPA dance graduate who enjoys working in a variety of roles as a teacher, projects manager, performer/collaborator with Unkempt Dance and occasional writer. Her favourite piece of playground equipment is the triple horizontal bar.